“Brexit: The Uncivil War” is the latest attempt at an explanation. This made-for-TV movie premiered on the United Kingdom’s Channel 4, but can be viewed in the US on HBO. 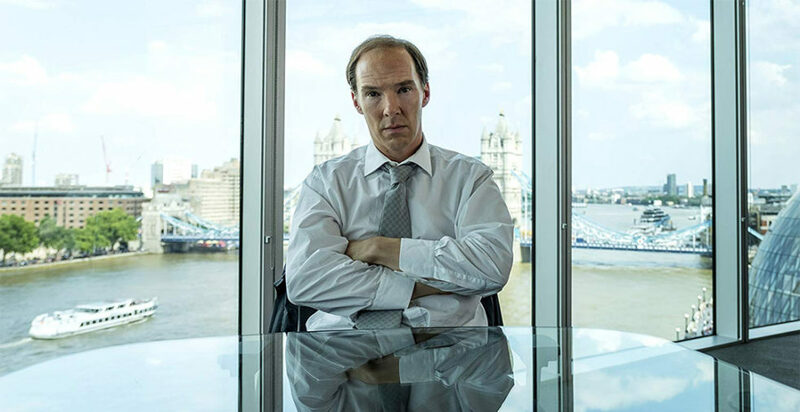 Directed by Toby Haynes, the film follows strategist Dominic Cummings, portrayed by Benedict Cumberbatch (“Doctor Strange,” “Sherlock”), as it explores the events leading up to the UK’s 2016 European Union membership referendum. Cummings is the mastermind behind the “Vote Leave” campaign that is both wildly popular and widely controversial. The man himself is portrayed as a caustic anarchist. His motive is not to leave the EU, but to shake up a British political system that he views as broken. The role is not new territory for Cumberbatch, who has played the rebellious boy-genius before, notably in BBC’s “Sherlock.” While the trope of amoral visionary is now cliche, in “Brexit” it provides an apt juxtaposition to the old, greying members of parliament who wish to uphold the political status quo. Under Cummings’ direction, the Leave campaign is entirely algorithmic, and based on data-driven decisions; his main tool is Facebook ads. With the help of the data analytics company, AggregateIQ, Cummings constructs a database of unregistered UK voters that can likely be persuaded to vote. In addition to micro-targeting potential voters via social media, the Vote Leave campaign uses inflammatory language, false statistics, misconceptions and the unfounded fear of Turkey joining the EU to sway voters to return to “take back control” of the UK. Visually, the film is gray and unsaturated. While the movie is obviously plot driven, it is aesthetically boring. Despite this, it is still an intriguing watch. The dialogue is quick, and the acting delivers. The pacing is reminiscent of a thriller more than a political drama. As each character is introduced, the audience is informed of their name, role in the government, and which side — remain or leave — they are on. This helps unfamiliar audiences enjoy a movie that would otherwise be extremely confusing and alienating. This film makes it clear that technology has irrevocably altered every part of human existence. Political institutions are not sacred; Cummings proves that now is the time to adapt or become irrelevant. With the 21st century, a new era of globalization has been ushered in. Modern political systems are slow and clunky. They were not created to work in a world where computers can analyze billions of bits of data, where algorithms are smarter than any human ever will be. Never before in human history has there been a way for fake news to be shared and liked and viewed 15 million times by people from all over the world. The Leave campaign uses this to their advantage. Egregious statements spread like fire, wild statistics are easily quotable. Cummings and his campaign bets — and wins — on the idea that no one is going to fact check a post with a million likes. Why would they? The internet never lies. Cummings ends the film as he begins it: frustrated with the current political system. Even though his revolution technically succeeded, the fallout did not turn out as he expected. He wanted systematic change, yet all that he facilitated was a transition of power from one established, bloated party to another, different only in name. And with that he ensured a dangerous era of social media politics, data collection and fake news.